There are many controversy about the necessity of having a local music teacher in the 21st century, especially when you are learning to play the piano. 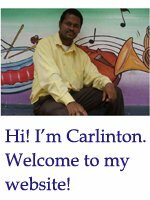 Since the year 2000, a lot of information specifically music lesson resources have been uploaded on the internet. And now, there are thousands of resourceful websites that offer lessons designed to teach individuals how to play a musical instrument. Most of the lessons I think, are piano related. A variety of methods such as videos, audios, eBooks and software programs are used to teach piano lessons. Even Social Media are used to teach music lessons to students. With all these resources available at our finger tips via the internet, one may ask the question. “Do I need a local music teacher to help me while learning to play the piano?” Of course, many persons would say yes, but a large group of persons would say no based on the wide variety of resources that now exist. I am sometimes overwhelmed by the large number of music teaching aids that are available but do not totally support the idea that students will learn all they need to, from these online resources. However, I think that if these resources are available then students must make good use of them. There might just be something new to learn. It is my opinion though, that all music students, whether you are learning to play the piano or any other musical instrument, should have a music teacher to properly guide them. Why is a music teacher so important? It is always good to have an expert who you can have face to face interaction with when you are learning to play a musical instrument. The teacher is able to do an evaluation to find out what level you are in terms of your knowledge of music. The teacher is also able to understand the way in which an individual learns and devise specific methods that are suitable for each student to stimulate learning. The student in return can ask questions pertaining to certain techniques and ask the teacher to do practical illustrations. The teacher also serves as a “driving force” pushing the student to practice harder in order to achieve specific objectives. These are just a few reasons why a large number of individuals would prefer to have a music teacher to guide them. Here is what others say concerning the importance of the music teacher verses the use of modern technology such as software, video lessons, eBooks etc. Conrad says ....”In my opinion an electronic tutor would satisfy persons who have busy schedules and need to achieve over a much faster time. However, the tutor in a classroom setting would prove to be more effective in getting the desired result in terms of proper training and hands on experience”. Smith says....”I think that most persons would prefer to go to a music teacher. However, I love to use video lessons because you can review anytime you want to”. Sandy says....”I prefer having a music teacher! You can ask the teacher questions when a point is not understood. Also, you feel more obligated to the task of learning because of the arrangements made between you and the teacher”. Click here to leave local music teacher page and return to home page.